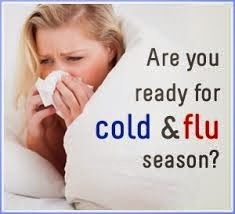 I personally think we are in for a frosty flu season as fall flings chilly temps, much colder than last year this time. Are you and your family stepping up your body's defenses to minimize your experience with winter sniffles? 30 Ways to A.C.E. up your immune system! Flax has lingons which have been shown to alter estrogen metabolism in ways that may protect against breast cancer. Fish is rich in omega-3 fatty acids. Choose deep sea varieties like wild salmon, mackerel, and sardines. Mackerel contains 21% or more of the two most important omega-3s (EPA & DHA) than salmon. Turmeric is believed to have medicinal properties because it inhibits production of the inflammation-related enzyme (COX-2), which is often found in certain inflammatory diseases and cancers. Additionally experts categorized turmeric as an aromatase inhibitor which lowers estrogen in post-menopausal women. Cruciferous vegetables like broccoli contain an important indole-3-carbinol that can combat breast cancer as well as the phytochemical sulforaphane. Sweet potatoes contain many cancer-fighting elements, including antioxidant vitamins C and A.
Turnips contain cancer fighting compounds. Choose cooking oils that are high in monounsaturated fats because these oils have been linked to preventing breast cancer. Examples high monounsaturated fat vegetable oils include olive oil, peanut oil, sunflower oil and sesame oil. Cooking tomatoes enhances the level of lycopene . Red grapes and grape juice are a good source of polyphenols. Avocados are also abundant in potassium (higher levels than bananas) and beta-carotene. Cook with rosemary, which may help increase the activity of detoxification enzymes. As a precaution, women who have breast cancer or are at high risk should talk to their doctors before integrating excessive soy into their diet. Carrots contain tons of vitamin A (the body converts vitamin A to beta-carotene), which may help reduce breast. Spinach, cauliflower, kale, Brussels sprouts, and cabbage (all cruciferous vegetables) contain two cancer-fighting antioxidants, lutein and zeaxanthin. Figs contain vitamins A and C.
Garlic contains dialyl sulfide (immune-enhancing allium compounds) that has been credited with increasing the activity of immune cells that fight cancer and indirectly help break down cancer causing substances. Fresh oranges/orange juice and other citrus fruits, contain monoterpenes, credited with sweeping carcinogens out of the body thereby helping to prevent cancer. The vegetable kale contains compounds, which may help stop the conversion of certain lesions to cancerous cells in some tissues. Kale contains the phytochemical, isothiocyanate, which is believed to suppress tumor growth and block cancer-causing substances from reaching their targets. Mushrooms, mushrooms, mushrooms - shiitake, maitake and reishi are a few that appear to help the body fight cancer and build the immune system.Scientist contribute the protein called lectin contained in mushrooms, which attacks cancerous cells and prevents them from multiplying. Mushrooms are a great meat alternative for those seeking to enjoy more plant-based eating while minimizing their concerns about adequate protein levels, especially portabella mushrooms (see burger ecipe below). Nuts contain the antioxidants quercetin and campferol that may suppress the growth of cancers; especially pecans, walnuts, and hazelnuts.. Grapefruit contains vitamin C, beta-carotene, and folic acid. Some studies show that grapefruit may inhibit the proliferation of breast-cancer cells in vitro. Papaya has vitamin C that works as an antioxidant and may also reduce absorption of cancer-causing nitrosamines from the soil or processed foods. Raspberries not only contain vitamins, minerals and plant compounds, but also contain antioxidants known as anthocyanins that may protect against cancer. Black raspberries are thought to have even more cancer-preventing properties than blueberries and strawberries. Author of “Pass the Sweet Potatoes, Please!” and “Beyond Candied Yams and Sweet Potato Pie”. back into shorter days and chillier nights. 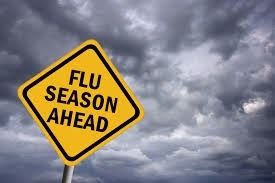 The time of year that starts to challenge our immune systems. However, by eating immune boosting foods on a regular basis you can keep your immune system strong to ward off the cold and flu. Garlic- Most recognized for its use in the kitchen is a powerful immune booster and disease fighter. Garlic stimulates the production of infection fighting white blood cells. Sweet Potatoes are one high in beta-carotene, which is converted to vitamin A in the body. Both beta-carotene and vitamin A are important for boosting the body's immune system.Sweet Potato Chili is a great fall one-pot meal along with some good, warm pumpernickel or marble rye bread.